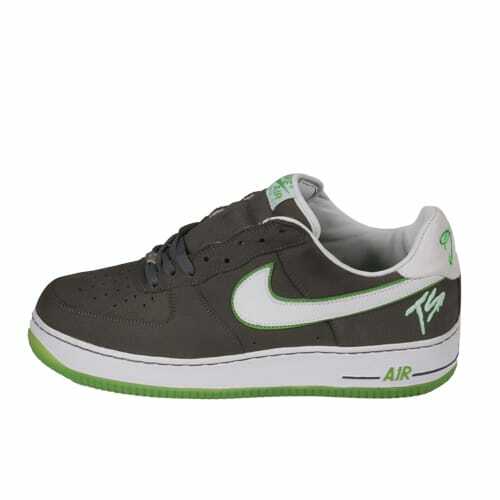 Nike Air Force 1 "Terror Squad (Gray/Neon)"
"The first time I saw these was with (Fat) Joe. I told him I wanted them and that he could see what I had so that we could work something out. I got them off him that same night. He met me at 12 a.m. under the Williamsburg Bridge and I gave him the VIBEs for the TS's."